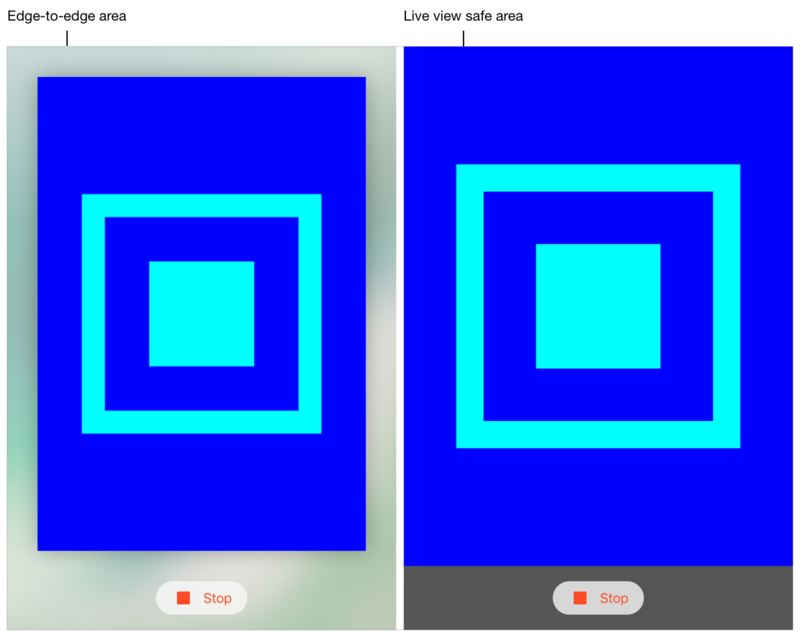 This protocol provides liveViewSafeAreaGuide, a layout guide set to the safe area. The safe area is the part of the live view that isn't covered by any Swift Playgrounds user interface elements like the Run button. You use this property to constrain the bounds of your content view inside the bounds of the safe area, which depend on how you set the LiveViewEdgeToEdge key for the current page. When this key is set to NO, the safe area is exactly the same as the live view area. When the key is set to YES, the safe area can be smaller than the live view area. A layout guide you use to position content so that it's unobstructed by the Swift Playgrounds user interface.